From Mediaite: Happy Presidents’ Day! Inspired by the biopic of one President, Lincoln, Mississippi has (finally) become the last state to ratify the 13th amendment, abolishing slavery. 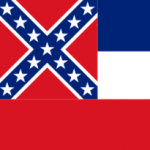 Reports Mediaite, “It only took 148 years, but the state of Mississippi has officially joined post-slavery America by submitting its papers to ratify the 13th Amendment abolishing slavery to the U.S. Archivist. The state was the last to ratify the amendment, voting unanimously in 1995 to pass the fabled document abolishing slavery in the United States. But a clerical error resulted in the papers never being submitted to the Office of the Federal Register.” Read more about what happened here. 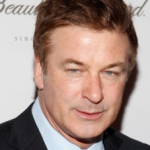 From Gossip Cop: What’s going on between Alec Baldwin and the New York Post? Gossip Cop reports, “Alec Baldwin was involved in a heated confrontation with a New York Post reporter and photographer in New York on Sunday. The 30 Rock star was reportedly walking his dogs in the East Village when he was approached by reporter Tara Palmeri, who asked the actor about a lawsuit filed against his wife Hilaria. Palmeri claims Baldwin responded by grabbing her arm and saying, ‘I want you to choke to death.’ In an earlier version of its story, the New York Postclaimed Baldwin told her, ‘I want to choke you to death,’ but sources close to the actor tell Gossip Cop that is NOT accurate.” Read the full story here. From Geekosystem: Big Mac, or Whopper? 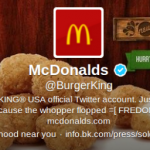 This Twitter hack may leave you confused by the choice, writes Geekosystem: “Hackers have seized control of the official @BurgerKing Twitter account, and are running wild with it. The running joke of the hack is that Burger King has been sold to McDonald’s, but there are also a fair number of nonsensical tweets and links to rap songs thrown in for good measure. We’ve got screen shots for you, since we’re assuming this thing won’t last long. There’s no official word about who’s behind this yet, but it looks like the group responsible calls themselves iThug$, though they’ve referenced several other hacker groups as well.” Read on and check out those screenshots here. From Styleite: Is print media really dying? It doesn’t seem that way in Britain, reports Styelite: “The magazine industry seems to always be desperately trying to convince everyone that print is doing just fine, though sometimes it seems like they’re smiling just a little bit too widely. But what do you know! British magazines have reported an almost across-the-board increase in circulation, withVogue up .3 percent, Vanity Fair up .5 percent, and GQ up 4.8 percent. On the other side of the pond, though, WWD reports that weekly fashion rag Grazia Australia is going under, and next week’s issue will be its last. Maybe the floundering magazines should take a cue from Sports Illustrated and offer up a swimsuit issue?” Read the whole piece here. 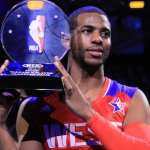 From SportsGrid: Last night was the NBA All-Star game, and SportsGrid is reporting on what went down: “Chris Paul was the MVP of the All-Star game. Paul led the way with 20 points and 15 assists, the latter of which came mostly because the All-Star game does not particularly feature defense. In other, gambling news, the West covered the -3.5 spread with the 143-138 win, and the under (294) took it home quite easily. Chris Bosh, who replaced the injured Rajon Rondo as the East’s 5th starter, proceeded to embarrass himself on multiple occasions, throwing up airballs and watching Tony Parker and Chris Paul dribble through his legs (more on that later). Also: Kobe Bryant had 8 assists!” Read on here. From The Mary Sue: Game of Thrones’ Emilia Clarke had quite the interesting things to say about her newfound fame, writes The Mary Sue: “We all know wigs play an important role in HBO’s Game of Thrones but they apparently also play a role in anonymity for the actors. So much so Emilia Clarke, who plays Daenerys Targaryan on the series, goes completely unrecognized. Even at HBO events. See what the actress had to say about her trademark white blonde wig and the two other hit shows she’d love to guest star on. Speaking with GQ magazine, Clarke admitted that while her character Daenerys is one of the most recognizable from the hit show, she is quite the opposite: ‘I’m so immediately unrecognizable. It takes a die-hard fan to actually spot me. '” Read more of what she had to say here. From The Jane Dough: Feeling like you should skip the gym in honor of today’s holiday? The Jane Dough explains why you should: “You know how you are always dragging yourself to the gym after work (or, uh, thinking about dragging yourself to the gym)? Well take a break, because it turns out that a four-day-a-week fitness plan burns more calories per session than a six-day program. Now you can just go home and watch TV (or stay at work and order food)! The study found that the women who had been assigned to exercise six times per week were expending almost 200 fewer calories than at the start of the experiment. The women tested also complained that the workouts took too much time out of their schedule and made them less likely to be active when they weren’t formally exercising.” Read more here. From The Braiser: Happy Ninth Birthday, Momofuku! 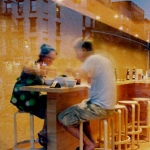 Writes The Braiser, “As the Momofuku Tumblr noted, it began with this storefront at 163 1st Avenue, when David Chang signed the lease on what would becomeMomofuku Noodle Bar (now Momofuku Ko). Nine years, ten restaurants, an ever-proliferating number of Milk Bars, two cookbooks, an evolution in casual dining, and a gajillion imitators later, Momofuku has unquestionably changed the American dining scene for the better. (We’re especially grateful that he made hoisin sauce acceptable to the greater American palate. Thank you, David Chang. )” Read all about it here.